CMNH Seminar: Anniversary Fever and Anniversary Fatigue: Cultural Violence or Familiar Silence? Anniversary Fever and Anniversary Fatigue: Cultural Violence or Familiar Silence? 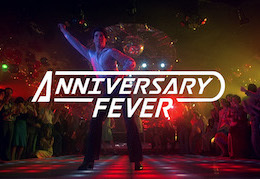 What does it mean to have 'anniversary fever', and how critical is this contemporary malady? Does the increasing phenomenon of collective anniversaries within contemporary culture represent a socio-cultural pathology, or else a burning desire for solidarity in the formation of collective identity? The need, or drive, to mark significant historical moments through the lens of various anniversaries has to some extent always been a crucial part of cultural memory and identity formation in modern times. Yet in recent years it would be fair to say that this phenomenon has reached fever pitch. Collective 'anniversaries' are now such familiar players within our socio-cultural consciousness and appear so ubiquotous within our cultural life that we may well be approaching, if not already feeling, 'anniversary fatigue'. As these events become increasingly common, however, it also becomes equally clear that difficult questions may need to be asked as to their power, influence and openness to critique. How much authority do such anniversaries have when it comes to legitimising a specific social or political memory? How much space is there to challenge their version of the past, and what are the potential ramifications for doing so? This paper will consider to what extent anniversaries represent contested sites for remembrance. Exploring the dominant narrartives that anniversaries present, or construct, it will be connsidered whether they act as useful cultural events that bring people together, or else in fact 'allow us to forget' while silencing the counter-cultural voices that challenge their authority. To do this I will offer a comparative case study of two very recent anniversaries that each form a part of my research field; the 2017 semi-centenary anniversary of the UK Abortion Act 1967 and the 70 year anniversary of the NHS this year, in 2018. Following a path through how these particular anniversaries were marked - within the media, by scholars, and by different community groups - the question as to how divisive such anniversaries are, or are allowed to be, will be posited. If anniversaries are taken as an important function within the formation of different identities and political imaginaries, then here it will be considered whether they include the commemoration of unsettling memories, or unsettle collective memories themselves. Or, to put this another way, to what extent do contemporary anniversaries represent cultural violence, or enable a familiar silence?